The LGG is named after the airport code for Liege, Belgium, heart of the Ardennes and home of Liège-Bastogne-Liège cycle race, the oldest of the classics. 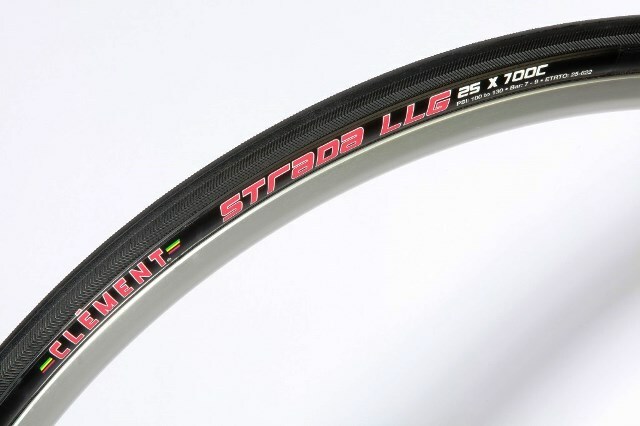 The Strada LGG is a classic road tire featuring the traditional Donnelly chevron pattern for excellent grip in wet or dry conditions. Inspired by the legendary Donnelly Criterium Seta, the LGG provides a supple ride, durable yet lightweight construction, and puncture-protection belt under the tread. * 60 TPI is single compound tread 70a. Foldable Bead Clincher. Protective Belt. Dual Compound.